Today we are starting up – and tomorrow finishing - the wonderful book of Ruth and then moving into First Samuel. The book of Ruth is a wonderful look at faithful love in human relationships, and in a family in particular. 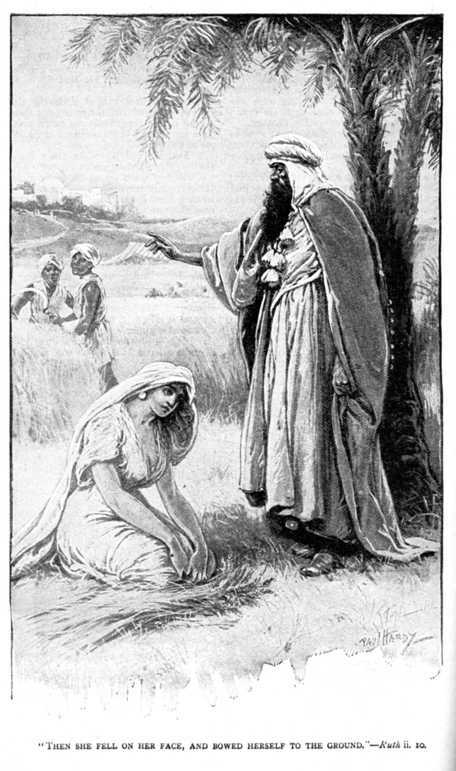 I like how the NIV Study Bible describes this book – “The book of Ruth is a Hebrew short story, told with consummate skill. Among historical narratives in Scripture it is unexcelled in its compactness, vividness, warmth, beauty, and dramatic effectiveness – an exquisitely wrought jewel of Hebrew narrative art.” I hope you are ready for this jewel! Content: The book of Ruth portrays another side to the chaotic time of the judges. In it there is a welcome relief from the bloodshed and mayhem that seemed to engulf the land because of Israel’s sin. 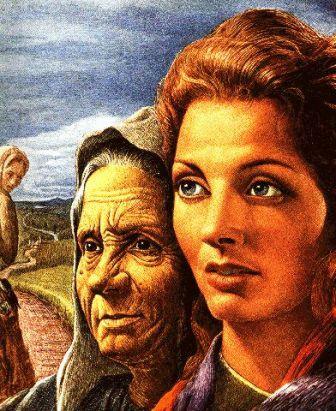 It is the story of Ruth, who decided to stay with her mother-in-law, Naomi, after tragedy struck that unfortunate woman. God returned good to Ruth in the form of a husband (Boaz) and a child, and also to Naomi in the form of grandchildren. From this family, eventually, came David the king. Today in Ruth chapter 1 verses 16 & 17 we will read these beautiful words of Ruth to her mother-in-law Naomi, whose husband & two sons had died - “Ruth replied, "Don't urge me to leave you or to turn back from you. Where you go I will go, and where you stay I will stay. 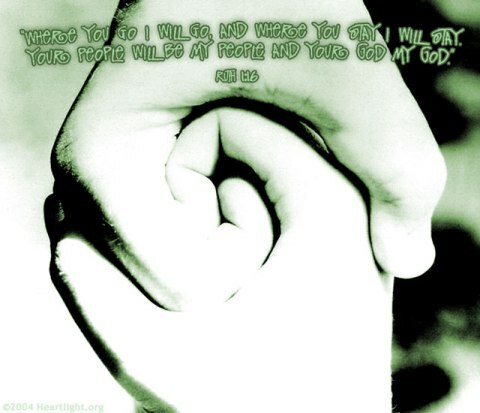 Your people will be my people and your God my God. Where you die I will die, and there I will be buried. May the LORD deal with me, be it ever so severely, if anything but death separates you and me." How’s that for love & commitment! Can you imagine saying these words to someone in your life today? I pray that each of us have this type of love & commitment for our families – or that we will have this in the future with our families. It seems like nowadays families are getting more and more distanced from one another – separated sometimes by geography and I think oftentimes by individualism or other selfish reasons. Perhaps each of us can learn something from Ruth and her dedication to her mother-in-law Naomi about what family love & commitment could and should really look like? In today's readings in Ruth we are introduced to the incredible man, Boaz, who is really a "type" of Christ figure. Also in chapter 4 verse 16 the name of David is first mentioned in the Bible! It is awesome to read today how David descended from Ruth, and of course ultimately Jesus descended from Ruth! Today in Ruth chapter 2 verse 10 we read - "Ruth fell at his feet and thanked him warmly. "Why are you being so kind to me?" she asked. "I am only a foreigner."" 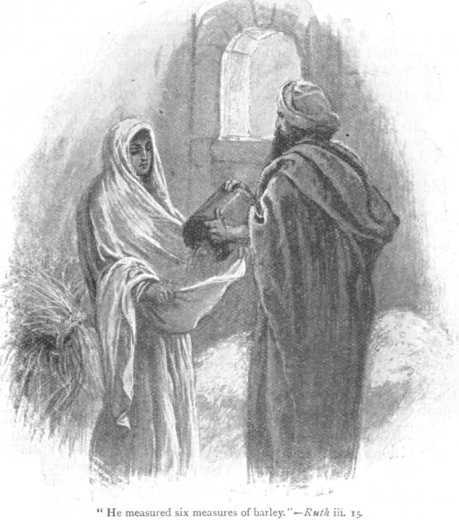 And in chapter 3 verse 15 today we read - "Boaz also said to her, "Bring your cloak and spread it out." He measured out six scoops of barley into the cloak and helped her put it on her back. Then Boaz returned to the town." Are you following God? Click here and follow Him! 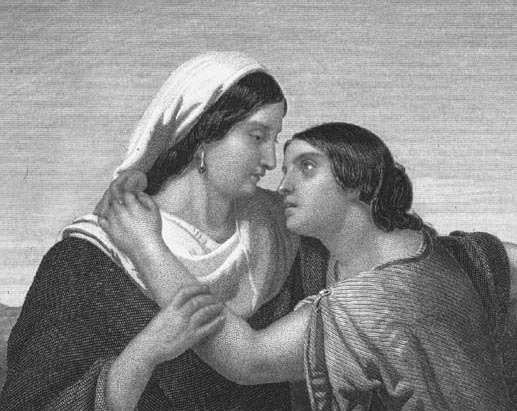 Prayer Point: Pray that you have or will have the same time of strong family connection and love that Ruth had for Naomi. Pray that you will stick with your family even during hard times. Pray that your family belongs or will belong to God.